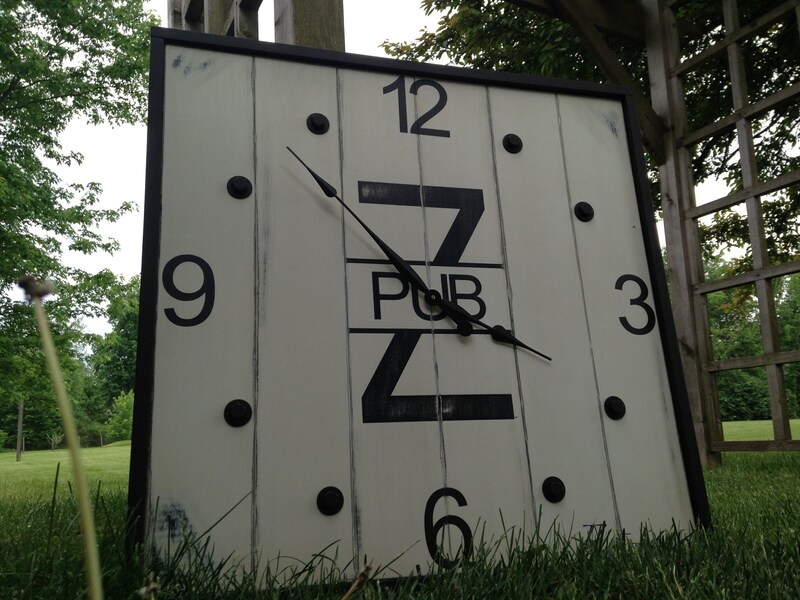 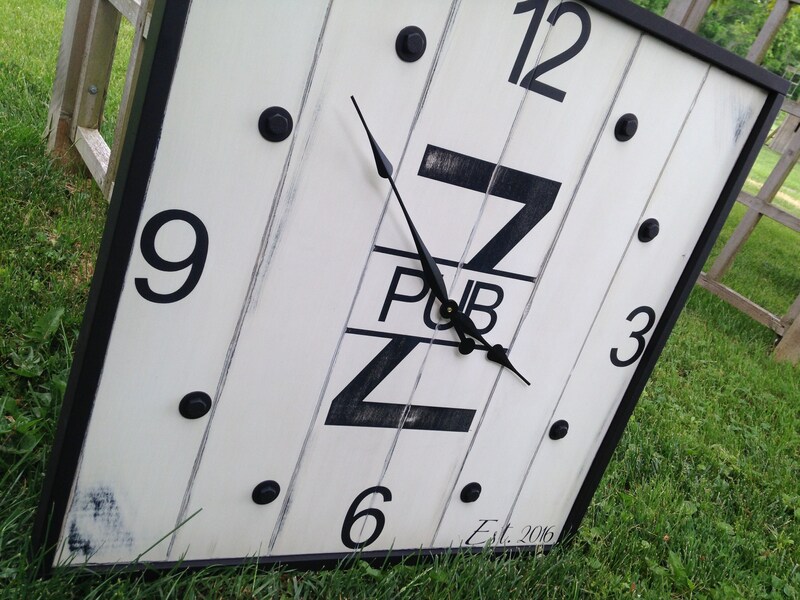 Add the perfect clock to your industrial style bar. 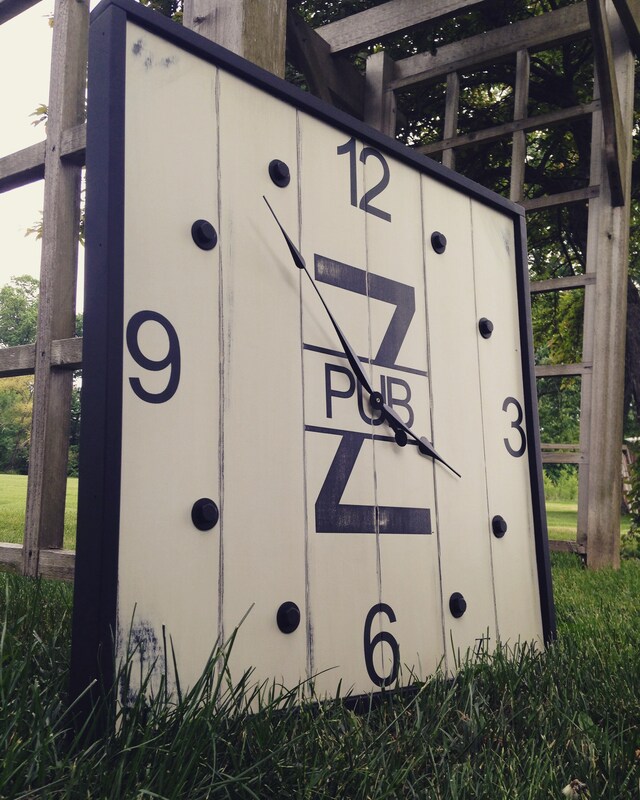 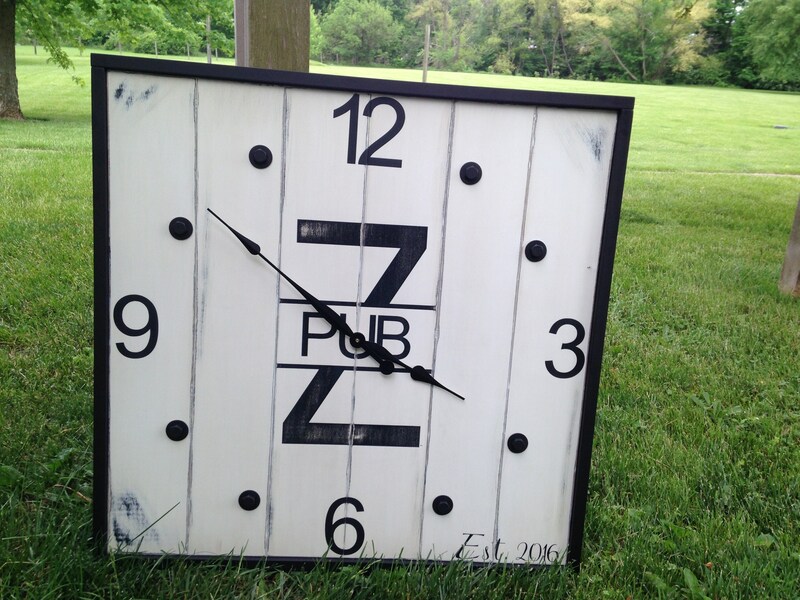 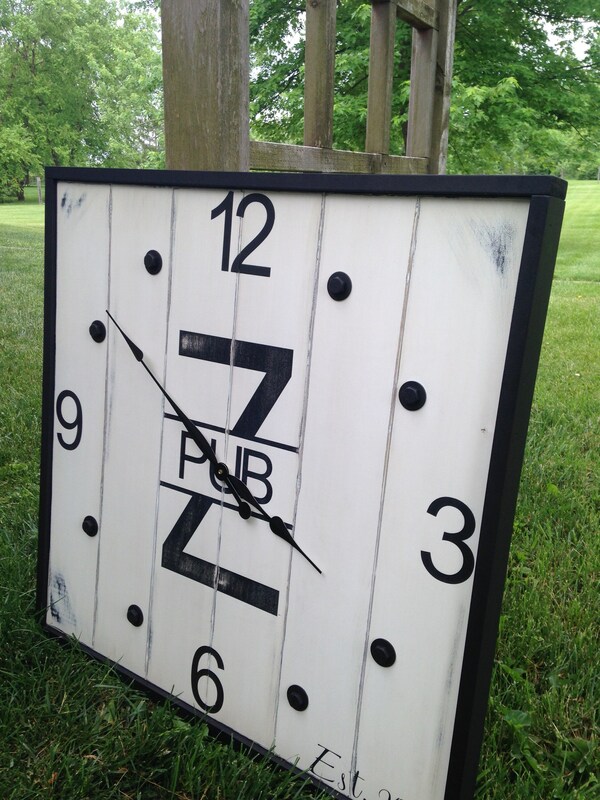 This clock is finished in a white, distressed background with black lettering, features a 3/4 inch black, wood frame, and has bolts that add extreme character. 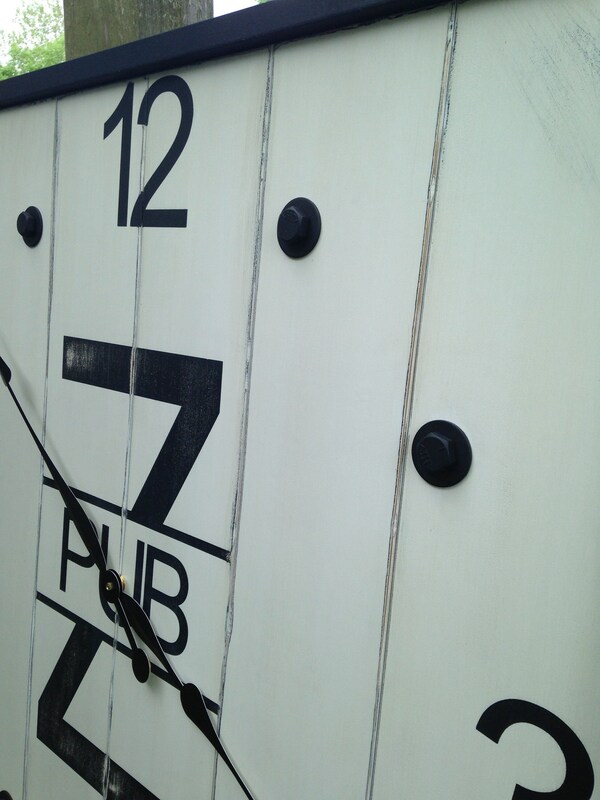 Back: To make hanging quick and easy, there is hanging hardware attached to the back.